Social media marketing is a must in this day and age. It's important to have an online presence in addition to your website to stay on top of the minds of your readers and clients. 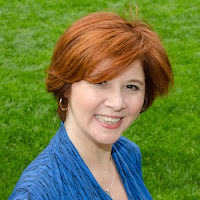 I am frequently asked which are the best social media networks for writers. The easy answer is: whichever sites you are most active on. If you spend time on a social media platform personally, you are more likely to drive conversations on it professionally. For those who want a tangible answer, I say, LinkedIn is a must, since it is a professional network. It's also less cluttered, so it's more likely your posts will be seen. Second is Facebook. It is hugely popular, continually evolving, and prioritizes the user experience. 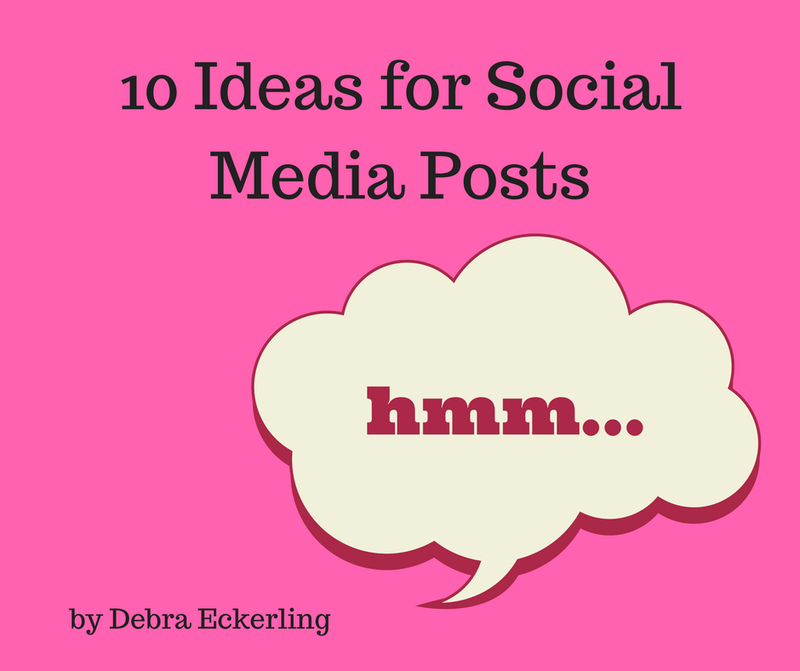 Now that we have the where, here are 10 things you can post on social media. 10. Questions for Your Audience. - What are you reading (fiction, non-fiction, or both)? - Where is your favorite place to read (or write)? - How do you find inspiration? - What is your favorite piece of advice? Whether or not it's an question post, whenever you share something on social media, include a question at the bottom that encourages them to comment (see below). One more thing. Unless you have a a huge news site (and unless you are referring to Twitter) you really don't want to publish on your social media platforms more than once or twice a day. The idea is to stay active, so you are on the minds and in the feeds of your friends and fans. What do you think? Where do you posts and what do you post?Please share your thoughts in the comments. 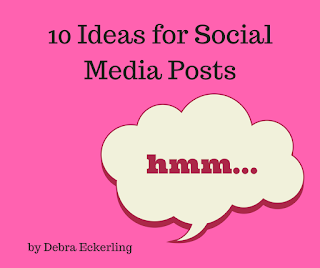 Debra, great tips on what kind of post we can share on social media. I've procrastinating on using video. One of these days I've got to just jump in. Thanks for sharing! Thanks, Karen. As video continues to be on the upswing, perhaps it's time to make it a goal? Good luck!